Earning money online is something that draws a lot of interest because there are so many benefits to it. It offers a means to draw an income stream without having to leave the comforts of your home and ideally, from something that interests you. Affiliate marketing is a good way to generate that income stream but may seem a little daunting at first. I won’t let you build castles in the air thinking it is easy, but the process is often straightforward, with clearly identifiable steps you can follow. The first thing you must do is decide what kind of topics you’d like to cover. This can range from things as homely as teaching people how to knit to as technical as building Printed Circuit Boards from home. What I recommend is that you choose something that you have a keen interest or expertise in. Having a true passion in your niche will often show in your content and that will become obvious to your readers. If you’re only interested in the money, though, there are a few niche areas that you can specifically aim for, such as Health and Wealth. 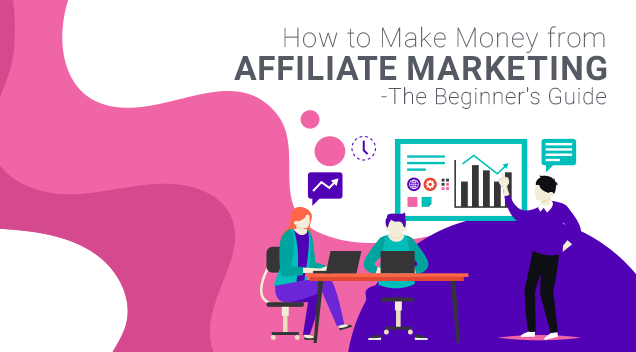 Because of interest from both retailers as well as online marketer, it has been an increasing number of affiliate programs. Some are run individually by companies who sell products directly, while others are run by networks which act as middlemen for multiple companies. The key to selecting the right affiliate program depends very much on the niche you choose. For example, if you were to decide to sell all type of small kitchen appliances, an affiliate network would be of more interest to you. This would give you access to a range of brands you can promote through your niche. What you are looking out for is a good fit between your niche and the products on offer through the affiliate program. Some programs or networks specialize in certain products which may not fit into your niche and neither of you will benefit from the association. Commission Junction – This network affiliate has a very big selection of brands and products you can sign up for. Unfortunately, you don’t get access to all their merchants just by signing up and approval per brand is on a case by case basis. 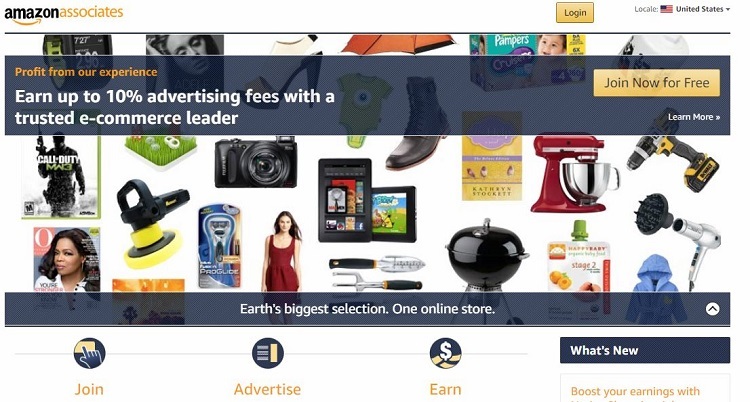 Amazon Associates – Probably one of the most recognized programmes internationally, Amazon gives you access to all their brands and products immediately. They do require you to perform, however, and if you don’t get any sales within a specified time period, they will drop you. Clickbank – Yet another big name in the affiliate industry, Clickbank is very much focused on digital downloads and software. If this is your niche, they are a good choice since they cater to millions of clients around the globe. Alternatively, there is also a standalone affiliate program like WebHostFace’s affiliate program you can join. If you have expertise in hosting products, you can start making money by promoting their products. Once you’ve decided a niche and made a shortlist of which affiliate programs or networks would be a good fit for you, it is time to make your own website – the bait. Your website is what will hold the content that draws visitors to your site. The look and feel of your site is nice to pay attention to, but ultimately it is your content that draws people in. Building a good repository of content is vital to increasing your audience. Content for affiliate marketing will generally fall into two categories – your ‘Sale’ content and ‘Funnel’ content. Sales content is where you try and close a deal, so to speak. If you’re trying to encourage people to buy a product, your sale content may be a good, comprehensive review of that product. Then on that page, you would include your affiliate links. Funnel content helps you cast a wider net and direct people into your sale content. Let’s say you are trying to sell a blender and have an article on the latest one available and how great it is. Your funnel content could be a series of articles on creative uses of blenders, or a list of the top five blenders money can buy. From there, you would direct them to your blender review page and thus, the sale. Building good content is almost the entirety of your business. You need to cover topics that people are interested in and the material must be optimized properly so that the search engines will rank it well. If you constantly extol the 3,000 virtues of a product, sooner or later you’re bound to have people realize that you’re all about the sale. Practically every product ever created has its flaws, no matter how small and people are bound to learn that. By mentioning those flaws, you can control the conversation and suggest how to potentially overcome them. You can even convince your readers that the benefits of the product outweigh the flaw(s) it presents. Personally, I do recommend that you try and test something out before you promote it so that you can genuinely share your experiences. Remember, people want to know the realities about something, not just have you dazzle them with your smile. Share as much as you can about the process, from the research that went into your purchase, the purchasing process (even delivery!) and what happened when you used the product. These reviews help show your users that you have a vested interest in the product. It will also help further the trust you are attempting to build. Great content is fantastic, but not much use if there isn’t anyone reading it. There are a couple of ways in which you can help extend your reach to leverage on the content you have. Learn some details on how search engines crawl your site and list your articles. By making some small adjustments, you can rank them more highly on search engine listings and gain more traffic. The explosion of the social media landscape has given affiliate marketers a massive new resource. Facebook, YouTube and Twitter, among others can be used to pass news of the fantastic articles you have from person to persona virally. I have only included this in because it may come across some of your minds. It’s a little bit of a touchy subject and this is where you need to pay close attention to the affiliate program you are in. Many won’t allow you to advertise via sites like Google. I left this till last, since you don’t need to worry about it unless you can draw traffic to your site to get sales. However, it does need to be mentioned that you do need to pay attention to how and when you will get paid. Each affiliate pays in different ways and while some may send you a cheque in the mail, the majority will likely pay you online. Various methods include (but are not limited to) PayPal and bank transfer. The most important thing to take note of though, is their minimum payout threshold. If you join an affiliate program and they have a minimum threshold of $100, you won’t get a payday unless you sell that much. At the end of the day you can see that your key need to be a successful affiliate marketer is a constant – and that is traffic generation. Your traffic is what gives you the chance to make a sale and you will be constantly focused on ranking your articles on search engines and through social. Even if your articles are drawing traffic, they will also need to be evaluated from time to time to ensure they are doing exactly what you need them to. There’s a lot of money to be earned, but nobody said it was going to be easy! Jason is a fan of technology, WordPress and entrepreneurship. He likes to read about news related to internet marketing and startups.